Maintaining the plumbing in your home is important t o preventing water damage and keeping your water bills in check. But when the same things keep happening over and over again, or your water bill suddenly spikes up without an obvious reason, it can be a little confusing. So, it’s only normal you would be looking for answers. Here are five of the most common plumbing questions that homeowners have about the plumbing in their homes. Residents of warm-weather areas, such as Jacksonville, grow used to seeing low gas bills every month. Winter, however, can bring an unpleasant sticker shock along with the cooler weather. Many may find their budgets thrown off by this sudden rise in the amount they must pay on a usually low utility. Almost every room in your home has access to plumbing, and even rooms like your bedroom have adjacent access. From showering, to brushing our teeth, to doing laundry, to cooking, most of our daily activities require water. Despite this fact, most homeowners don’t know a ton about their plumbing. But knowing how to shut your water off can become essential very quickly in the case of emergencies. 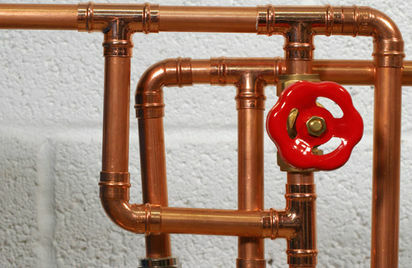 It can also be helpful if you’re doing some quick DIY plumbing that you learned in our eBook or in one of our blogs. Your home isn't only the refuge where you go to rest, recharge, and enjoy your family. Your home is an investment of both finances and time, and may be the largest investment you ever make. A comfortable, renovated home is a joy to live in, as well as an expenditure that will repay your efforts down the line in the event of sale or appraisal. As a homeowner, whether you’re new to it or you’ve been in the same house for 20+ years, you already know that a house needs attention to look its best and give back to your family. While you probably spend considerable time and money on your home, one area you might be neglecting is your pipes.